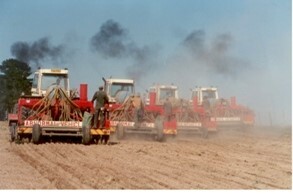 S Haddad Agricultural Services was established in 1975, with Sandor Haddad as sole owner/Proprietor. Based in George, the company is ideally situated to service the whole Southern Cape and has quick access to parts and services offered in the major centers, Cape Town and Port Elizabeth. 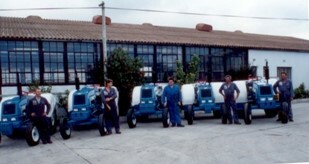 Over the past 43 years, the company has grown from strength to strength, with a reputation for excellent service and an extremely high work standard. Mr. Haddad’s knowledge in the agricultural mechanization industry is respected all across the country, with him giving farmers and dealers advice on many aspects of the industry, from simple repairs or modifications, on tractors or implements, to soil preparation and crop selection. Currently, the company is basically made up of 3 divisions namely: New + Used Equipment Sales, Workshop + Spares and Soil Preparation + Equipment Contracting. With this spread of services we able to tend to your every agricultural need. 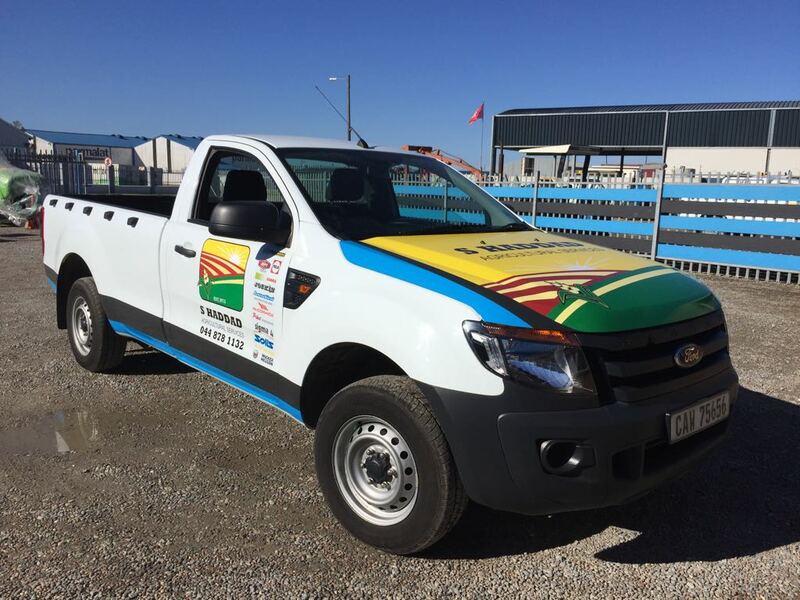 S Haddad Agricultural has been in the food production business since 1975, being involved in joint ventures for soil preparation and vegetable planting with Table Top Foods (later Pillsbury Brands Africa then McCain Foods), Langeberg, Harvestime and Pillsbury Brands Africa. Together we have produced thousands of tons of food, working with some of the best-qualified field extension officers in the country. The company has also been actively involved in other contracting operations such as soil preparation and ridging for tree plantations for Mondi Paper in the N.E. Cape Drakensberg and Road Building at various sites in the Southern Cape and maize plantings for the Government in the Eastern Cape. Rough terrain forklifts, high-speed haulage and low-speed crawler tractors and a host of agricultural, forestry and construction implements have also been built according to customer needs. Our well-equipped workshop is kitted with all the necessary testing equipment and special tools to ensure all jobs are done to the highest quality standard.Highly qualified mechanics with field service vehicles handle services and breakdowns in the workshop or in the field. The workshop is also certified by Merseta to give education and training to learners wanting to pursue a career as a tractor mechanic. The spares department carries a wide range of new, used parts and service exchange parts to ensure jobs are carried out as swiftly and as cost effectively as possible. A complete database of parts for most agricultural equipment is on hand to enable us to assist customer’s parts needs at the best possible price in the shortest time for parts we don’t carry in stock. Over the years, we have worked in excess of one million hectares of ground for food production, always taking into consideration soil preservation for sustainable agricultural operations. Currently, we use conventional, conservation and minimum tillage methods in our contracting operations, depending on the specific needs and circumstance of each operation while taking all factors into consideration. With our fleet of tractors and specialized equipment, we are able to develop barren ground into seedbed and plant most crop types. At S. Haddad Agricultural we strive to maintain good soil condition and the environment for sustainable agriculture for future generations. This leads us to an environmentally friendly method for de-bushing being developed that not only clears alien vegetation but encourages regrowth of natural vegetation. This method has proven to be so effective that it is the bushing method of choice for Escom in the Western Cape and various municipalities, developers and farmers in the Western and Eastern Cape. In an effort to become BEE compliant we have set out goals to be fully compliant, as per the points system, in the near future. However, as a company, we have always helped emerging and local communities by doing soil preparation work and by giving them guidance and training in agricultural mechanization. 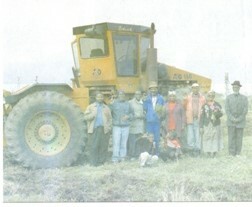 We were also actively involved in the largest and most successful black empowered maize planting schemes in South Africa. Further, we have given emerging farmers equipment at cost prices as an extra benefit to help them find their feet. 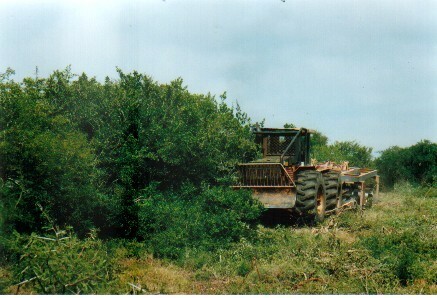 Over the years the company has donated and maintained 8 tractors to organizations who serve the community, such as the National Sea Rescue Institute and the George Botanical Garden and Golf Clubs. We constantly strive for service excellence and developing the skills of our employees to offer the best service in our industry and build a strong partnership with our clients.